Do they not want donations? 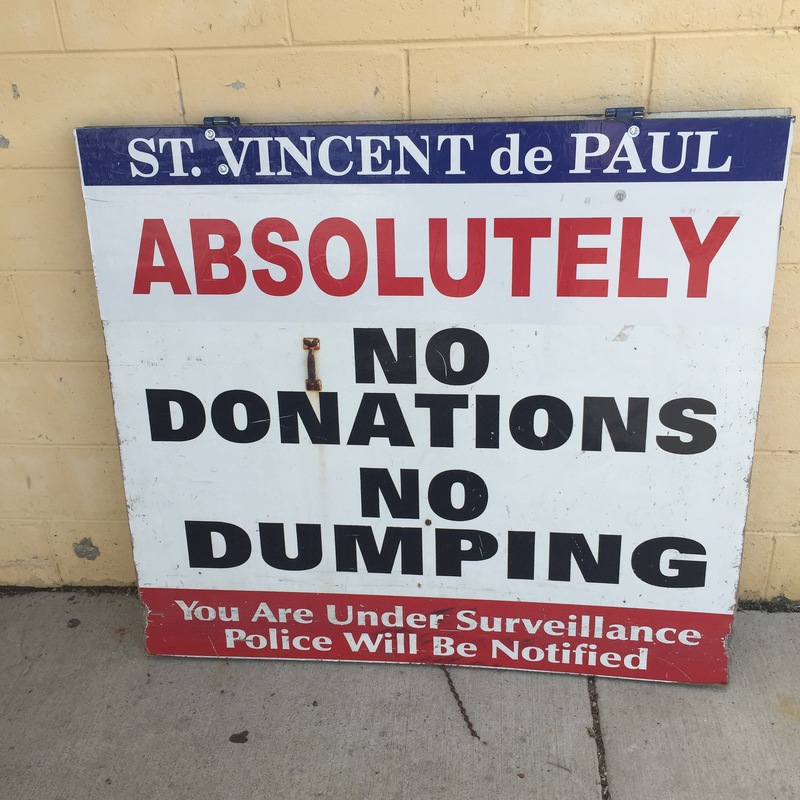 Maybe they don’t want drive-by donations? 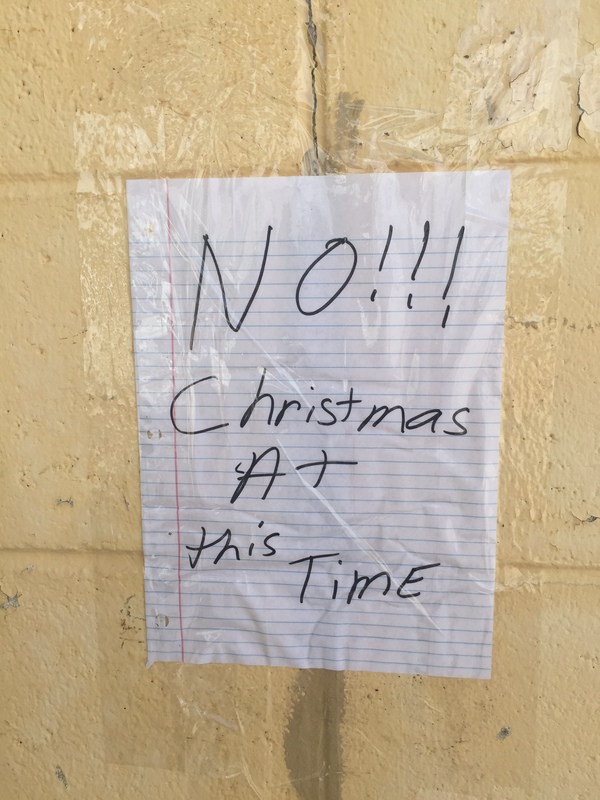 I suppose this means there will be no Christmas in July sales. Darn! This cracked me up because for one, it was at at thrift store, neatly housed with the other typical thrift store goods, such as bandages, “vomit basins” (or as I like to call them, “those plastic puke catchers”), and syringes. Yes, syringes. Second reason it cracked me up? It’s a “mini” enema, as opposed to a full-on enema. If you’re going to go that route, wouldn’t you want to go big? Finally, it cracked me up because I understand the “ease” part; enemas don’t seem like a good time, so why not make it easy, “ease” things along, etc.? But if you say the name fast, it becomes “enemies.” If I had to take some thrift-store laxatives, I’m not sure I’d want to buy a brand that can sound like it’s my enemy. Especially if it’s going to have me, ah, stuck on the toilet for a time. In related news, I believe I crossed over to a new level of thrifting this morning. As I was driving out of my neighborhood I saw a little table/hutch/thing at the side of the road with a sign saying “Please take.” I stopped, backed up, and parked. Got out of my car, looked to see if anyone else was around (I didn’t want to have to brawl) and scooped it up. It’s currently in the backseat of my car. I’m not sure what I’ll do with it; maybe I’ll keep it for a time and eventually drop it off at Goodwill? Maybe I’ll refinish it? But I liked the look of it, it’s solid wood, and I thought it was too good to pass up. Pictures forthcoming! 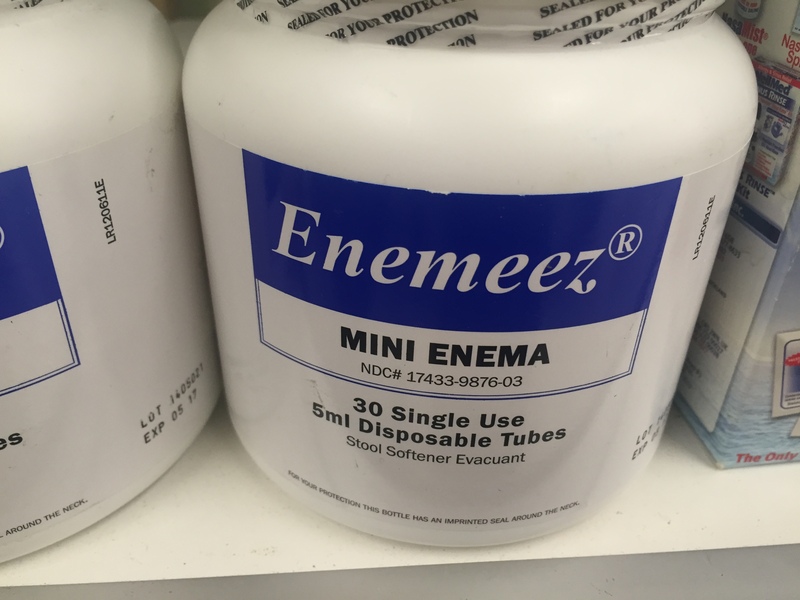 What the heck is a mini enema? ROTFL, hilarious! And hey, Waukesha is king for people grabbing stuff set out for the taking. . . so why not?